Get ready for any excursion whether near or far with this easy to use Outlook 22E class C motor home. 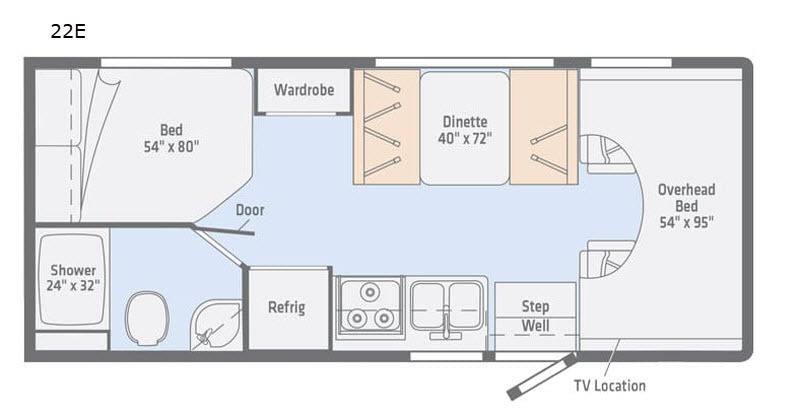 With conveniences such as a 54" x 95" overhead bunk and a 54" x 80" rear bed this model can easily sleep up to five people. If you choose to eat inside then you can eat at the 40" x 72" dinette and at night this area easily converts into additional sleeping space. Before you start your day of adventure come get ready in the rear bathroom!